The Goodwood Festival of Speed and Goodwood Revival announced provisional 2016 dates for these hugely popular annual events. The 2016 Goodwood Festival of Speed will be held on 23rd to 26th June. As usual, the event will open with the Moving Motor Show on Thursday 23rd June, featuring motor manufacturers showcasing their latest models, alongside exciting concepts. From Friday to Sunday, 24th to 26th June, the epic Goodwood hill will be taken over by a collection of cars, bikes, drivers and riders from the history of motor sport. Staged every summer since 1993, the Goodwood Festival of Speed is the world’s largest automotive garden party, set against the spectacular backdrop of Goodwood House. 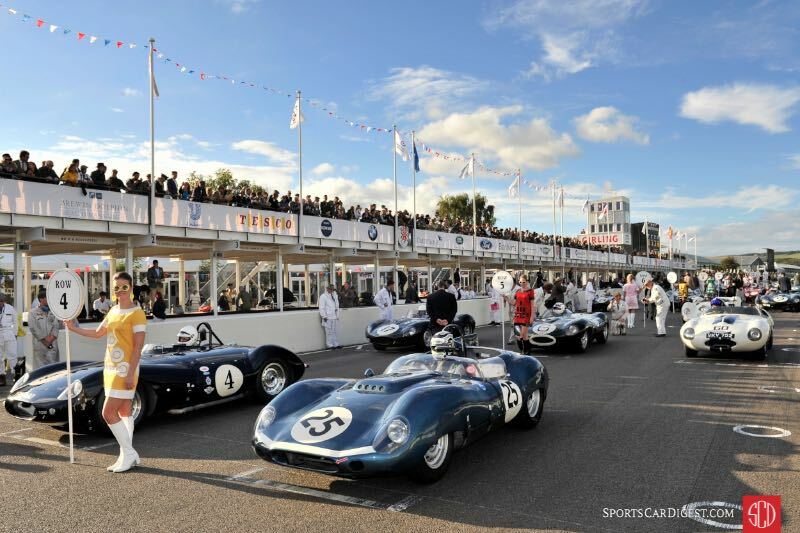 The 2016 Goodwood Revival will yet again bring back to life Goodwood Motor Circuit’s glory days as an active race track from 1948 to 1966. Next year’s Revival will take place on 9th to 11th September. Run every September since 1998, the Goodwood Revival is the world’s largest historic motor racing event, with a sell-out crowd of nearly 150,000 attending in period clothing each year. A host of superstars from the world of motor sport attended Goodwood events this year, including the grand prix motorcycle racer Valentino Rossi, alongside fellow World Champions on two wheels Casey Stoner, Freddie Spencer, Kenny Roberts and John Surtees, plus F1 title winners Jenson Button, Damon Hill and Sir Jackie Stewart, US legends Don ‘Big Daddy’ Garlits, Richard Petty and Ken Block, and Le Mans heroes Tom Kristensen, Derek Bell and Emanuele Pirro. Expect a similarly star-studded line-up in 2016. Tickets and hospitality packages for both events will be on sale to Members of the Goodwood Road Racing Club on Saturday, 31st October. Those on the GRRC waiting list will be able to secure their tickets from Monday, 2nd November, while tickets will go on general sale on Thursday, 5th November. Tickets for the 74th Goodwood Members’ Meeting, which will be held on March 19th to 20th, 2016, are already on sale to Members. Those on the wait list will be able to purchase from 2nd November, with a limited number of tickets going on general sale on 1st January, subject to availability. Hospitality, tickets and more information is available via Goodwood.com/Tickets or 01243 755055.